There are many kinds of steak out there, from the expensive filet to the almost-not-a-steak-cross-cut. One of the most overlooked is the sirloin. 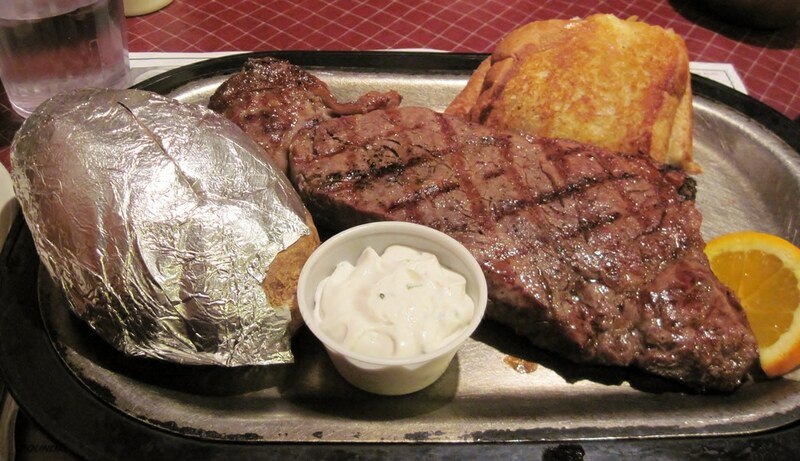 In restaurants it’s usually the cheapest on the menu, leading people to believe that it isn’t as good as other steaks. This is not true! Sirloin may not be as tender as a filet or New York, but it has an incredible amount of flavor. This is because of where it comes from on the cow. 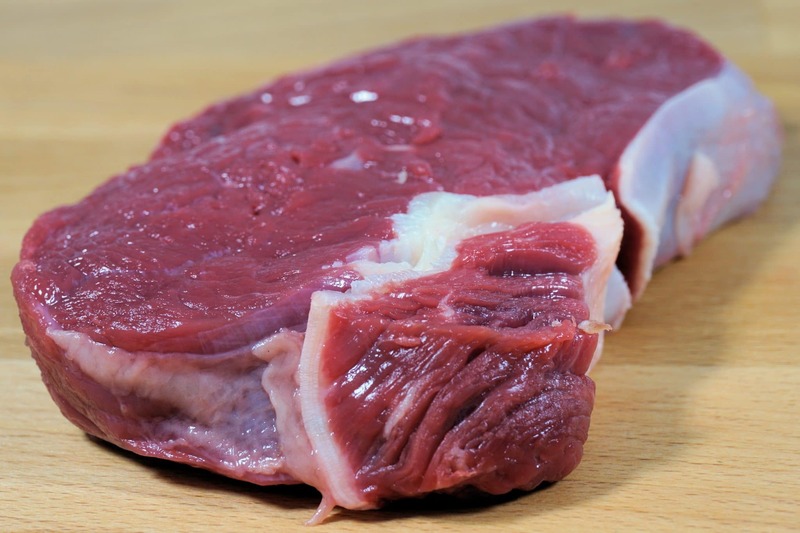 The sirloin is cut from the loin, as is the filet and New York, but from further back where the fat collects more. And fat does equal flavor. There are many ways to prepare a sirloin. Grilling, broiling, and pan searing are all good ways to get the natural, beefy flavor from this little gem of a steak. Marinating and dry rubs can increase the flavor by scores. Since sirloin can be a bit tougher than other steaks it requires a high heat and a quick cooking time. For those of you who like your beef the same color inside and out, well done, this steak can be quite chewy. On the other hand, if you like your meat cooked a little less, this steak doesn’t require much to be cooked perfectly. Grilling is fine, but I find that the grill can make an already chewy steak kind of tough. Broiling works very well, as it imparts no other flavor than the meat and whatever you put on it. My personal favorite is pan seared. Pan searing can be a tricky business. If the pan is too hot the oil or butter may scorch leaving a bitter taste on the steak. If it’s too cold the steak will stick and you’ll rip it to pieces trying to get it out of the pan, but, if you get the temperature just right it will bring out all of the natural flavor of the steak. A trick is to preheat the pan with the oil or butter in it, so when it begins to smoke, you know the temperature is just right. Notice I said “begins” to smoke. Not fully smoking, or you will burn your steak. Rub it down. I like to use a simple dry rub on the steak to add a little flavor, and enhance the natural flavor. I’ve made elaborate, 28 ingredient rubs before, but for a simple, easy flavor that’s kind of overkill. The basic rub I like is only 4 ingredients, salt, pepper, chili powder, and mustard powder. Used correctly, these four ingredients will do more enhancing than flavoring, and I figure the meat already has all the flavor you need, we just need to bring it out. I also like to lightly coat the meat in a good oil, such as sesame, to hold the rub to the steak. We decide when the steak is done by texture. Think elasticity. If you can poke a steak and get no resistance it’s rare. If you can poke it and it is rubbery it’s well done. Use that as a basic measure. Medium steaks bounce back when poked. Medium rare steaks bounce back slowly when poked. Medium well and well done are about 35 seconds of cook time apart, so they are basically the same thing, but medium well should still have a little pink in the middle. So now that you get the idea, let’s do it. Preheat pan with oil or butter. Rub steak with oil and rub, this can be done in advance but it won’t contribute much more flavor and the salt may dry the steak out. When pan starts to smoke, add steak. Flip the steak when you have a desired color on the cooked side. The darker the color, the more cooked it is. 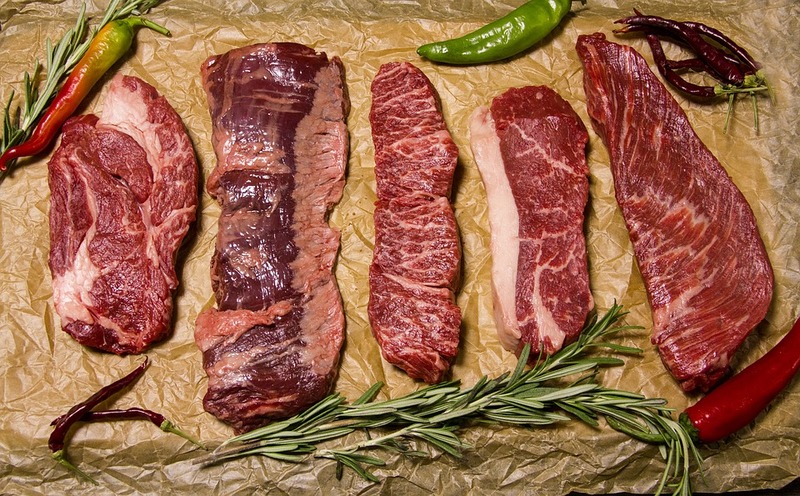 When you have the desired texture, you are ready to rest the steak. Resting is important for the steak to relax and reabsorb some juice that would normally leak if you cut the steak immediately after taking it from the heat. Remember, steak is muscle, so as it relaxes, it will become more tender as well. Sean is lucky enough to live, work, and play in the Willamette Valley of Oregon, USA. He has been cooking professionally for 20 years, the last 15 in the best kept secret of American Locavores. With a serious love for cooking, and eating, Sean loves to share knowledge and learn new tricks.